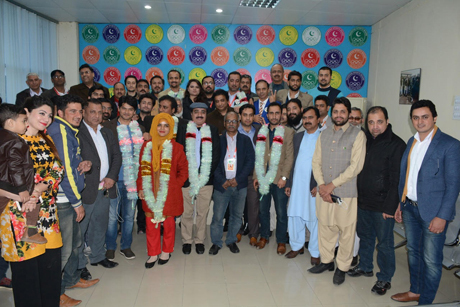 ISLAMABAD, December 27, 2017: Members of the Rawalpindi-Islamabad Sports Journalists Association (RISJA) after their elections held at the Pakistan Sports Complex. 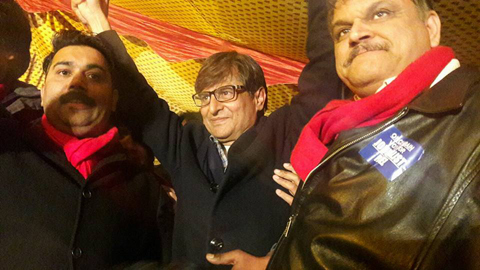 Afzal Javed of Founder Group was elected the president. 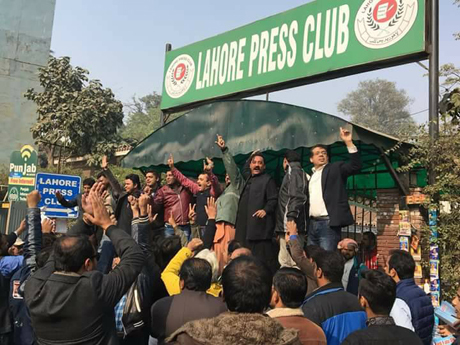 LAHORE, December 28, 2017: Journalists protest outside the Lahore Press Club over a controversial new voter list. The protesters prevented the start of polling resulting in the postponement of the annual elections. 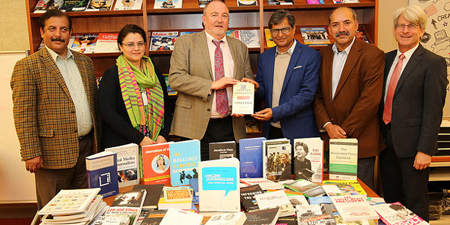 The US Embassy in Islamabad gifted dozens of books on journalism to the National Press Club on December 20, 2017. Here, Richard Snelsire, spokesperson for the embassy hands over the books to club President Shakeel Anjum. 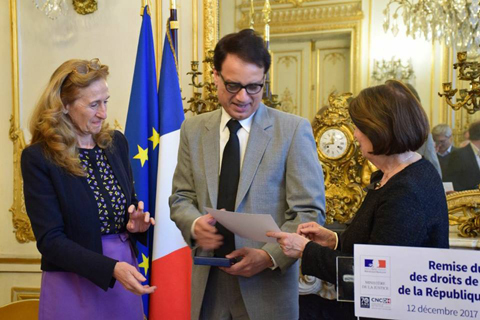 Journalist Aoun Sahi (left), a Pakistani member of the Los Angeles Times 2016 Pulitzer Award-winning team receives the 'Pride of Journalism' Award from senior journalist Farooq Faisal Khan on December 10. Sahi reported from Pakistan on the 2015 San Bernardino attack in the US, since one of the attackers was a Pakistani. Sahi is also a bureau chief at Channel 24. 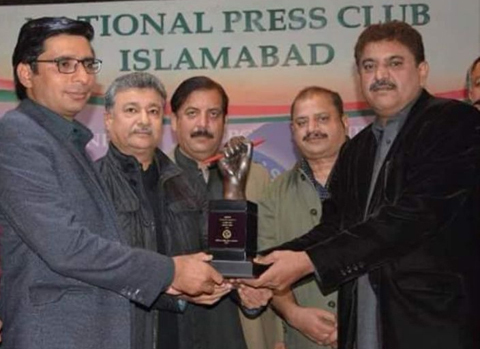 The award ceremony was organized by Shakeel Anjum, President National Press Club. 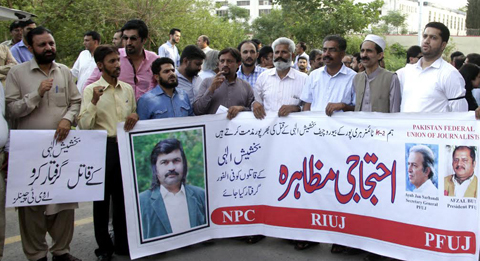 Journalists gather outside the National Press Club, Islamabad on October 27 to protest an attack by unidentified men on The News journalist Ahmed Noorani. He suffered head injuries. 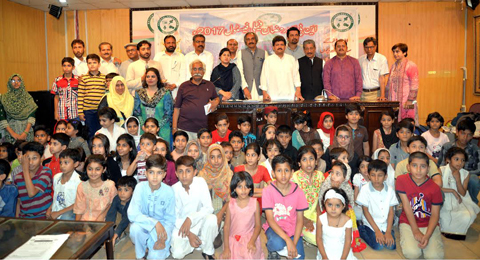 ISLAMABAD – Sindh Chief Minister Murad Ali Shah (center), and Opposition Leader Khursheed Shah present a cheque to National Press Club, Islamabad President Shakeel Anjum on September 19. - NPC photo. 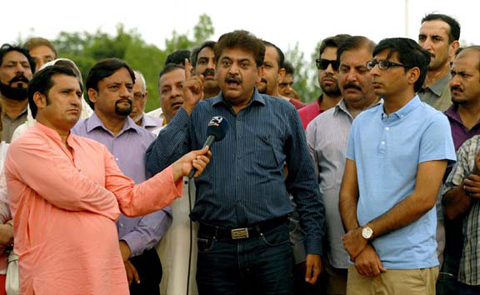 ISLAMABAD - Senior journalist Farooq Faisal Khan speaks at a protest organized on July 22 to condemn the manhandling and harassment of Channel 24 journalist Saba Bajeer on July 21 by officials of Federal Investigation Agency (FIA). A few other journalists were beaten up. 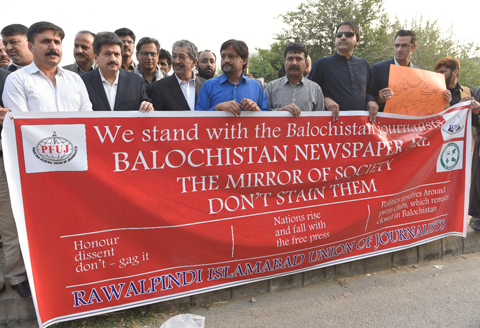 - Photo courtesy: National Press Club, Islamabad. 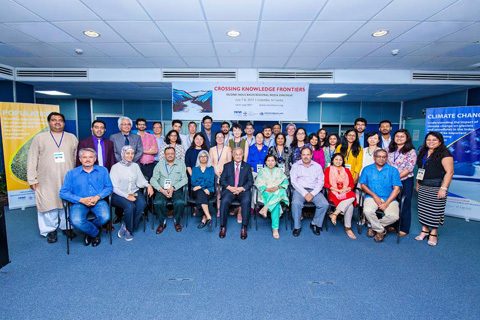 Journalists who took part in a two-day Indus Basin Regional Media Dialogue in Colombo, Sri Lanka in July 2017. 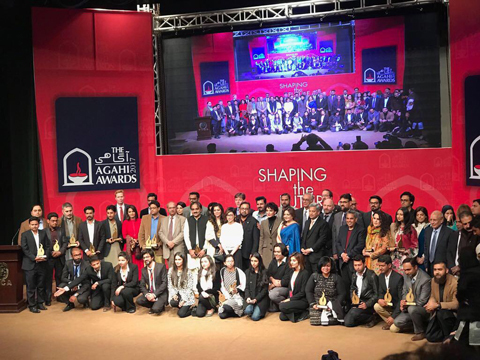 Zofeen Ebrahim, Shabina Faraz, Shahzada Irfan Ahmed, Jehanzaib Haque and Hassaan Khan represented Pakistan at the event. 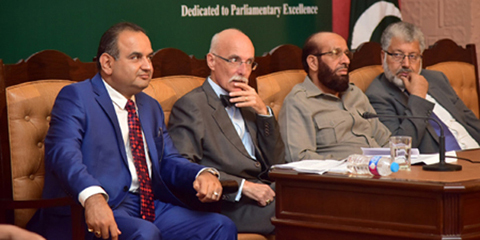 ISLAMABAD - Dr. Ramesh Kumar Vankwani (MNA), EU Ambassador Jean -Francois Cautain, Federal Minister for Religious Affairs and Interfaith Harmony, Sardar Mohammad Yousaf, and Chairman HEC Dr. Mukhtar Ahmad at the launch of Tolerant Pakistan Media Network on May 16, 2017. – Image courtesy: Tolerant Pakistan Media Network. 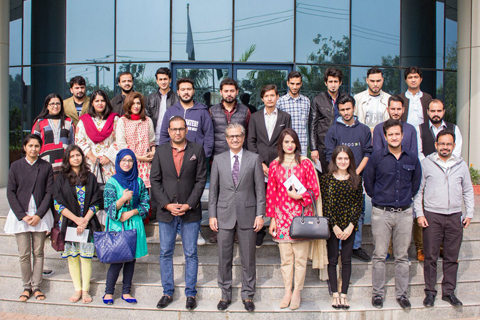 ISLAMABAD - Women journalists from across the country attended a two-day National Conference organized by National Press Club, United Nations Information Center (UNIC) and British High Commission (BHC) to commemorate the International Women's Day. 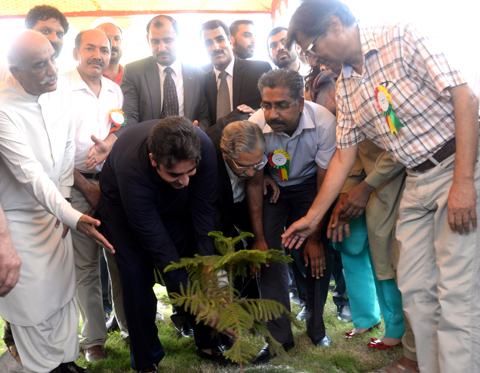 State Minister for Information Maryam Aurangzeb was the chief guest. 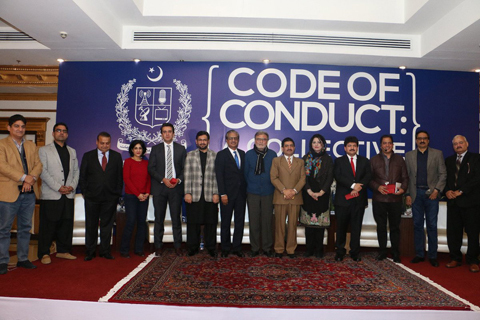 ISLAMABAD - Communication Research Strategies (CRS) and JournalismPakistan.com kicked off a project focusing on economic security of slain journalists’ families or those displaced, by holding a consultation with stakeholders at the Islamabad Hotel on February 22. 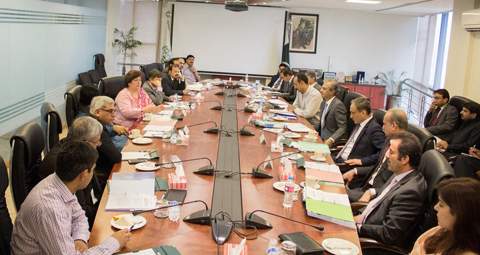 The project titled ‘Surviving the Story’ involves conducting a research on the issue in Khyber Pakhtunkhwa, engage in consultations with media practitioners and other stakeholders and come up with policy recommendations. 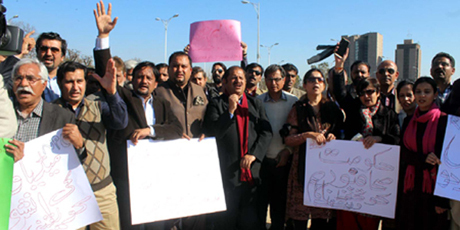 ISLAMABAD - Journalists from Rawalpindi and Islamabad gather outside the National Press Club on February 13 to protest the killing of Samaa TV cameraman Taimoor Abbas. 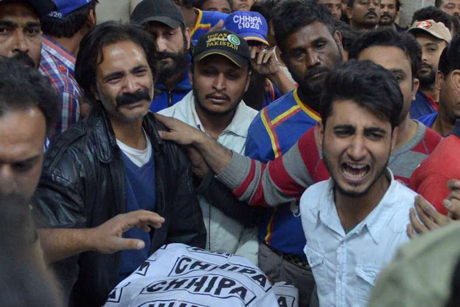 Taimoor, 22, was killed in an attack on the channel's news-gathering van in Karachi. Taliban claimed responsibility for the attack. 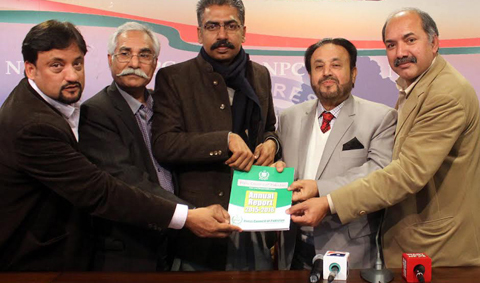 ISLAMABAD: M. Salahuddin Mengal, Chairman Press Council of Pakistan, presents the council’s annual report 2015-16 to the Imran Yaqoob Dhillon, General Secretary of National Press Club, Islamabad on February 2. 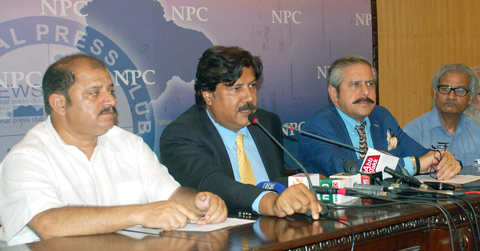 ISLAMABAD - Shakeel Anjum (center) throws his arms up in jubilation after being re-elected president of National Press Club, Islamabad on January 5. His Journalist Panel made a clean sweep. 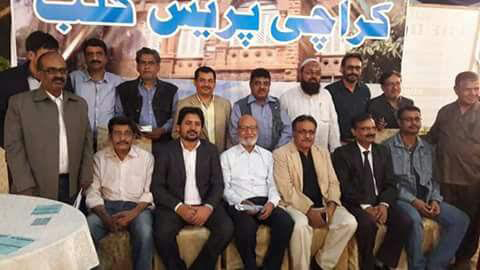 KARACHI - The newly-elected office-bearers of Karachi Press Club. 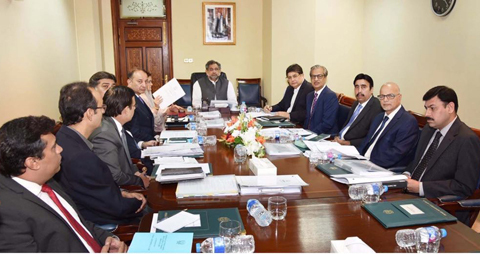 Siraj Ahmed was elected the president and Maqsood Yousafi as the secretary in polls held on December 31. 2016.